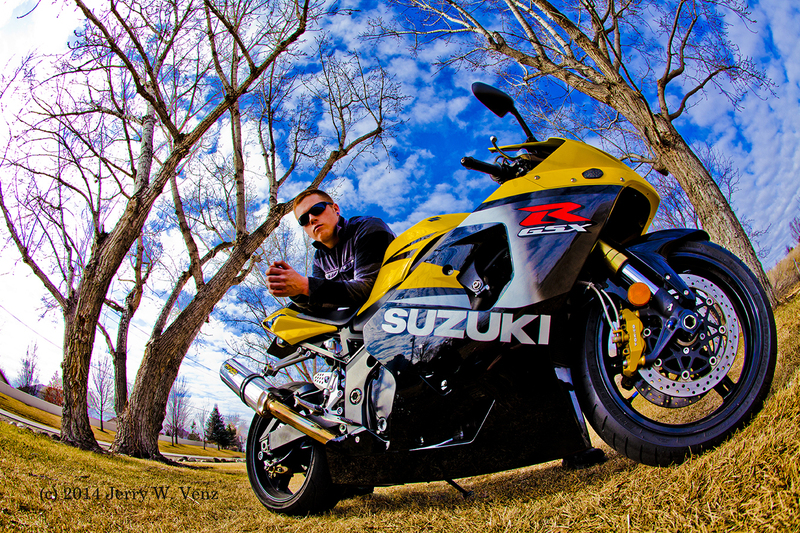 SENIOR SESSIONS: A BOY AND HIS TOYS ! 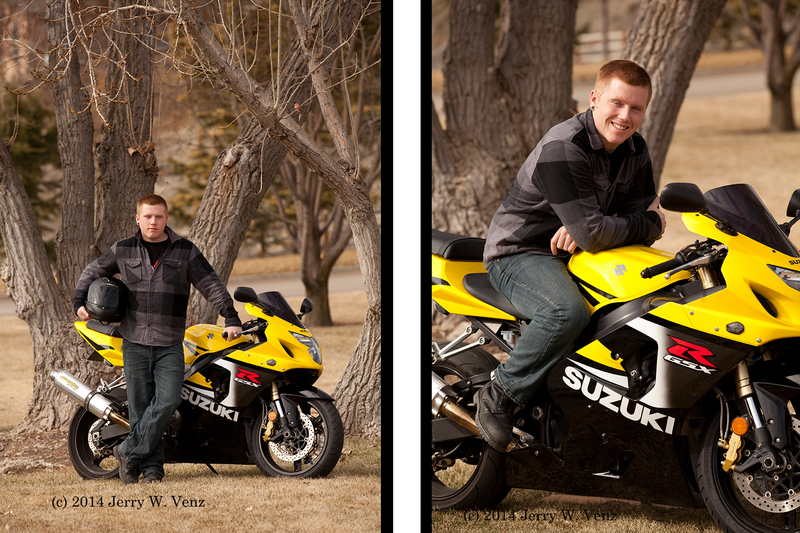 Austin had recently purchased a big nasty, Suzuki, GSXR, sport bike as his first ever motorcycle, no less, so I wanted to get them photographed together before either of them ended-up in intensive care! He also wanted to be photographed with his project car, that he turbocharged for drag racing, and his pit bull, so I scheduled a separate session for those. LESSONS LEARNED FROM AN OLD PRO. : Don't try to do too much on a given session. Your results will be much better when you focus on ONE photographic goal at a time. Going out of my comfort zone, due to his schedule, I had to do this session starting at two P.M., which is usually NOT the best time for portraits outside. Most of my sessions, outside, are usually done one or two hours before sunset. At least I got to choose the location at this local city park that had caught my eye. Being dead winter the lack of color in the park actually helped to make both him and his bike really stand out. I also really liked the trees with their textures and color that unified the monochromatic setting. In the spirit of the old saying: When life gives you lemons….make lemonade! The following image, using my 15mm fisheye lens, was O.K. but needed more POP so I toyed with the image in ACR boosting the Vibrance, Saturation, and Hue, until I got that dead grass into a yellow range that went well with the yellow of the bike. This also created the more striking blue in sky making the clouds stand out more. This is what is so fun about senior sessions--it's O.K….no it's expected that we sometimes go OVER THE TOP! About ten days later, after he had his car detailed, we went back the same park, to photograph the more challenging subjects---the car and his dog. In questioning him about his car (black with cool red wheels and some red graphics on the car) I suggested he wear dark colors with red accents of some kind. That little bit of planning paid off! He looked great and we had good color harmony! 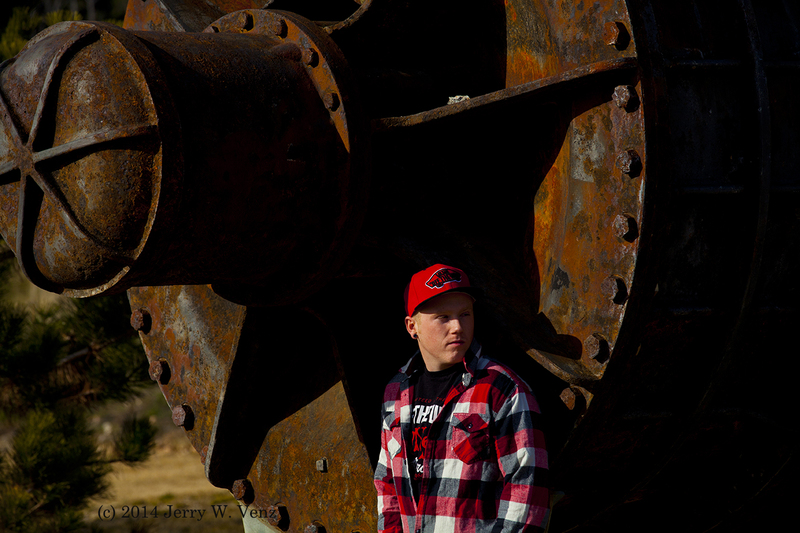 For our last setup I moved him, for some individuals, over to this large piece of rusted machinery that was on display nearby. Very dramatic! 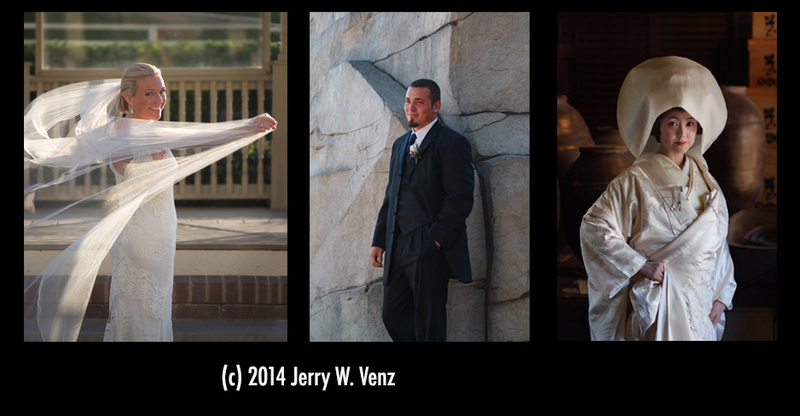 All of these images were taken with my 70-200mm f2.8 lens at 200mm or with my 15mm fisheye. I like to work at the extreme ends when it comes to focal length where the look is far more dramatic and unusual---I don't use the middle focal lengths much…I don't even own a 50mm lens…BORING! So, YOU WANT TO BE A Wedding Photographer?! So you want to photograph weddings...one of the most, if not the most technically demanding and stressful types of photography you can do. And of course, you want to be great at it…Right? So, then I assume you HAVE experience in ALL types of photography…Yes? Do YOU have experience in ALL this? 7. Architectural photography interiors and exteriors. 8. Food photography by window light an/or flash (eg. the cake, favors, their meal & table settings). You may also have to move the cake, or the invitation, for a better lighting and placement of bride and groom when cutting. 9. Product photography: the bride's dress, shoes, jewelry and accessories. 10. Action photography; eg. the bouquet and garter toss: you may have only a couple of minutes to set-up each of those events. You have to decide where YOU place the bride in relation to her girls, so you can photography them with the best background, in addition you have to quickly train the bride how to toss the bouquet. 11. Macro photography: extreme close-ups of their rings, properly placed or artistically set-up is a big seller. 12. 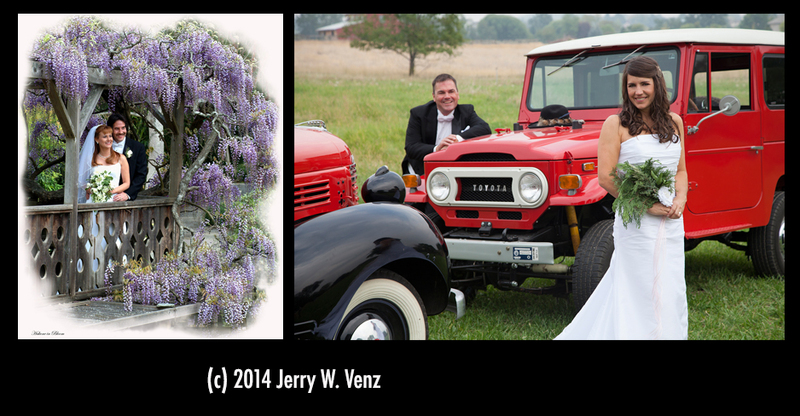 Car photography (the limo) with bride & groom and/or attendants. 13. Interior car photography; you have 8 people in a 25-foot stretch limo…where are YOU going to be and how are you going to light it…you have maybe 2 minutes to do this! 14. 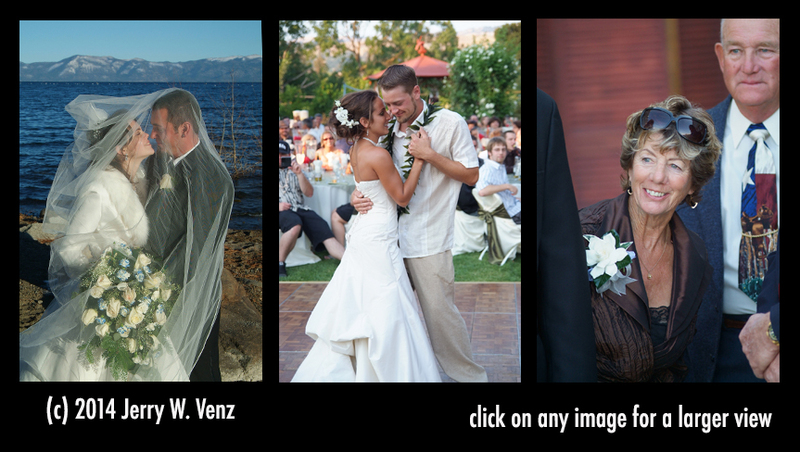 Candid photography; what we call "Storytelling" images of everything that happens between the big events of their day. only 12" wide. Lighting and posing a 98 LB bride and Her bouquet is Wider than her hips! 16. Posing the bride and groom: she's 5 feet tall and he's 7' 3" tall! What about that first dance! 17. Posing a wedding party of 20 people, using a one or two step, dimly lit, church altar. You have 5 or 6 more set-ups, working on down to the bride & groom alone, and you have 15 minutes to do it before they shut off the lights. What's your plan? 18. How you are going to orchestrate your images throughout the day? Know how to create a step by step image plan, with back-up plan (if I don't catch these images up front where can I make them up later). 19. Know your Camera inside and out! In a matter of moments be able to switch gears from a dark interior to bright sunlight outside. 20. Then after all of the above, you need people skills and self confidence. Oh…my wife asked me to remind you to charge appropriately! Average weddings use up about 40 hours of your time start to finish…how much do you want to get paid for a weeks worth of work after Cost of Goods? Now, what do you need to accomplish any or all of the above? The obvious…paperwork! Contracts, pricing, studio policies, who's who information sheets, list of images to be done, and timeline to name of few. Oh…bit of advice here…make your last payment due 2 weeks BEFORE the wedding. If you don't you could wait a long time to collect any balance due after the wedding. 1. A minimum of 2 camera bodies with vertical grips, housing 2 batteries and 2 back-up batteries per camera. 2. A Pro flash on EACH camera, with some kind of flash modifiers (at least a Stoffen type). I also carried 2 extra sets of batteries for each flashes. 3. I brought 7 different lenses, but you can safely cover events with 4 lenses. 1) A Pro Medium Zoom - like: f2.8 70-200 L, IS, II Canon, or f2.8 70-200 VR Nikon, or f2.8 80-200 Nikon, or Tamron or Sigma f2.8 70-200mm. 4) A super wide zoom or my favorite a 15mm or 16mm Fisheye. 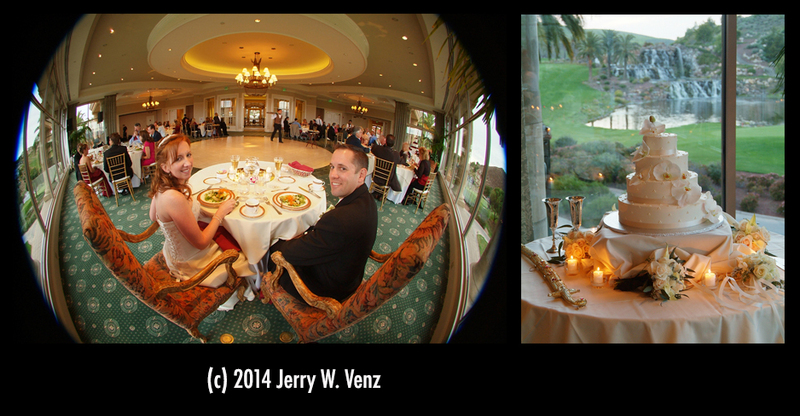 Every time I've used the fisheye lens clients were blown-away and bought them! Every manufacturer makes fisheye lenses. 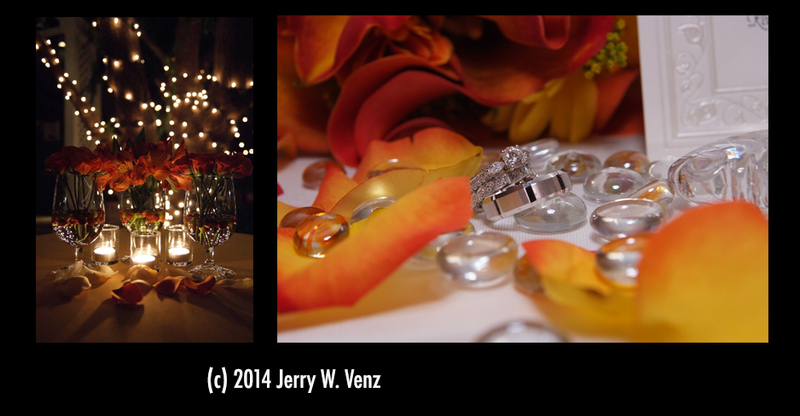 Now ask yourself…Are You really ready to be a wedding photographer? If you don't have 100% of the obvious paperwork you are setting yourself up for issues down the road. If you can't do at least 90% of the skills needed to do all these types of photography, you need more training before you take responsibility for capturing a life changing event for someone. If you need help, give me a call and we'll see if we can get you into one of the training classes offered at our training site ( http://www.LightattheEdge.com ) that will help you the best. As always leave your comments. Being Creative on a New Location! We had just gotten our permit to do photography in the Idaho Botanical Gardens, so we used the opportunity to do a senior session there. A single individual would allow us to move around more easily to try out more areas within the location. Because we want to offer our seniors many different settings, change up the poses, and create a variety of looks using different lenses, this would be a great combination of subject and location. When it comes to lens choice, I like to work at the extreme edges. I either use the most telephoto I have (200mm - 300mm) or the widest lens I own (15mm fisheye) offering our clients a visual style many have never seen. I leave the middle focal length territory, like 50mm, to the amateurs. The middle to me is boring--I don't live there! 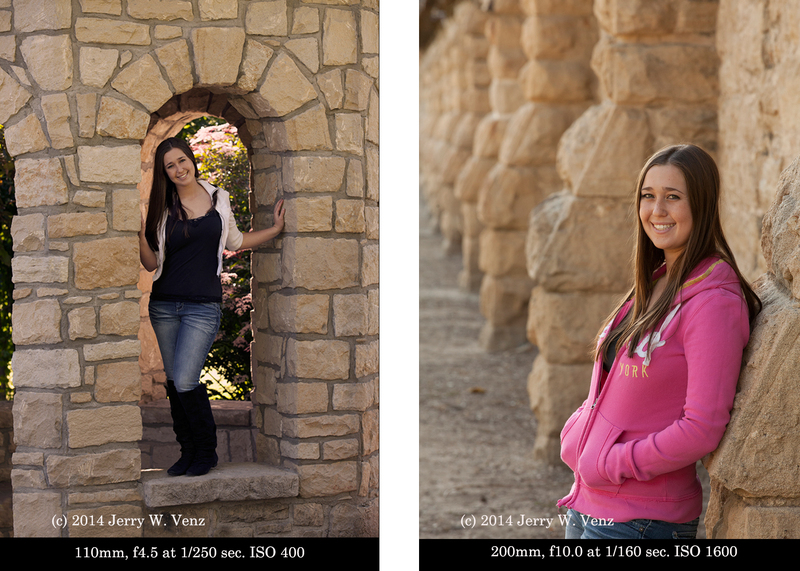 The closest I got to 50mm in this session was the image at the huge rocks I did at 70mm, which was the widest I could go with my favorite portrait lens, the Canon 70-200mm f2.8. Don't be afraid to experiment with a new location, the outer edges of your lenses and the edge of the light…You might actually like it! As usual, ask questions…it will help you learn. Backing away from your subject reduces this effect but then the subject becomes too small in the frame. The solution is to use a telephoto lens to increase our subject's size without distorting their features in an unattractive way. The short lens will make the background appear to recede from your subjects and simultaneously keep the background more in focus because of the inherently greater depth of field created by the short lens. Both of these effects work against us in fine portraiture. In portraiture we use the telephoto lens to narrow our vision, to show less (which can reveal more), to knock entire backgrounds out-of-focus and thus make our subject(s) unmistakably urgent to look at. My goal in environmental portraiture is to put my subject INTO their environment and make them look good as well. 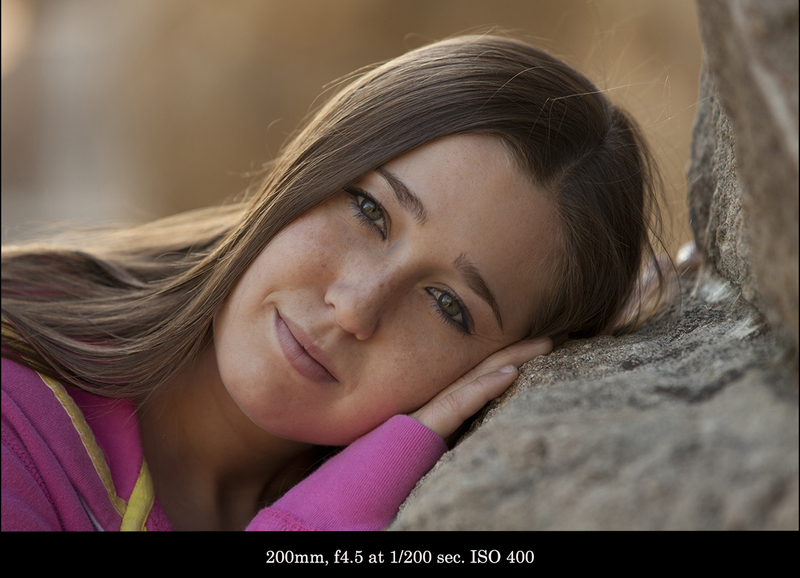 Using the telephoto lens compression effect will bind the image together not blow it apart the way a short lens does. Where these effects are absolutely vital to control is when doing group portraiture. Even with a small group where you have them set-up in only two rows if you use a wide lens, even at a comfortable distance, you will see an increase in head sizes and body mass in the front row and a pronounced decrease in head sizes in the back row. As professionals this is something we must control! 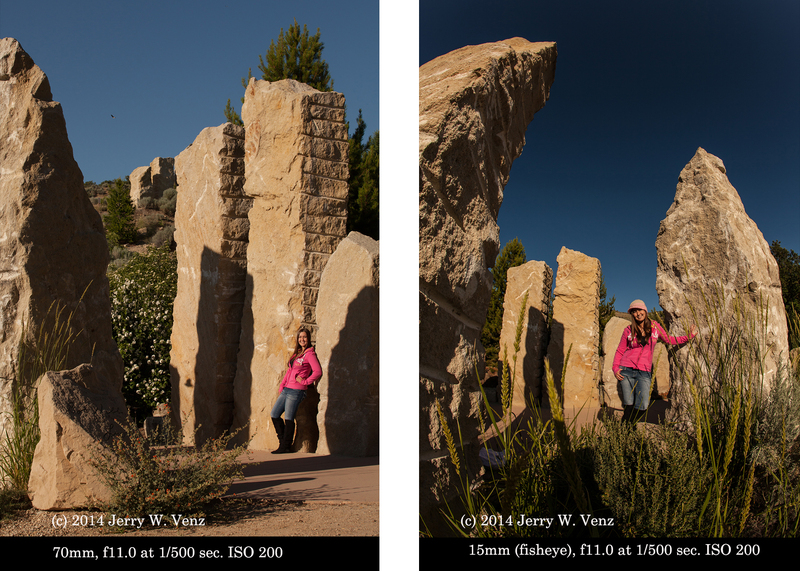 At this point, many of you are probably asking, "So, what is he defining as a "wide-angle" that is BAD for portraits and what is a good telephoto for portraits?" Well, many photographers reading this will probably be surprised that I define the "nifty fifty" as a wide-angle that should be avoided as much as possible--don't even think about anything wider for anything but novelty images! I don't even own a 50mm prime and have had no use for it in 40-years! My go-to portrait lens is my Canon 70-200 f2.8 and prior to that it was my Nikkor 80-200 f2.8 when I had a Nikon system. 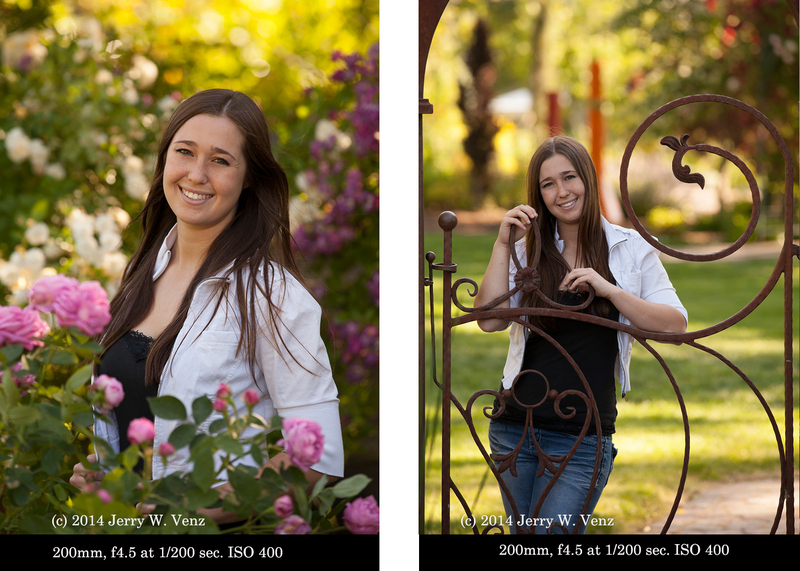 Sometimes these were not enough when doing individuals of kids or high school seniors so I would add a 1.4X extender! 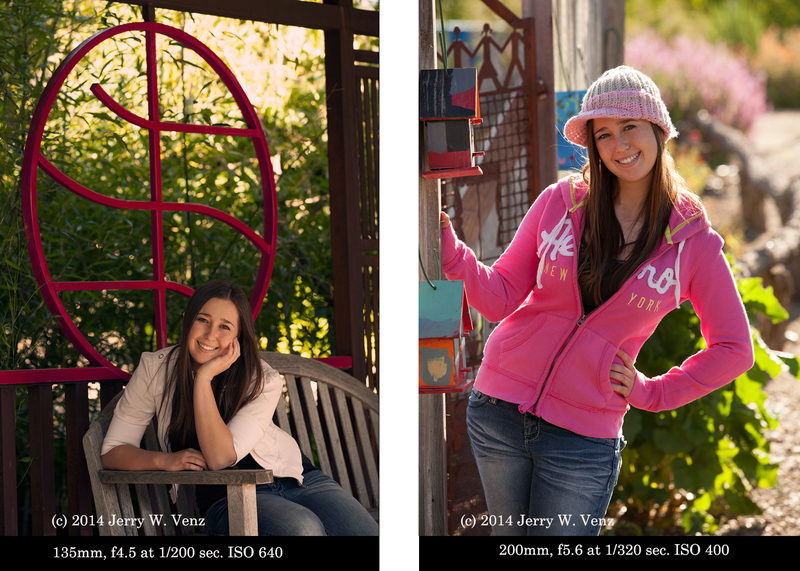 The portraits below show vividly the effect of EXTENSION DISTORTION (using a lens at 50mm) versus the COMPRESSION DISTORTION created using my portrait zoom at 170mm. As always should you have questions please don't hesitate to ask!